When you’re out all day saving the world from Templars, it’s important to make some ‘you’ time. After all, all that free running, wall climbing, traversing and parkour can really take its toll. 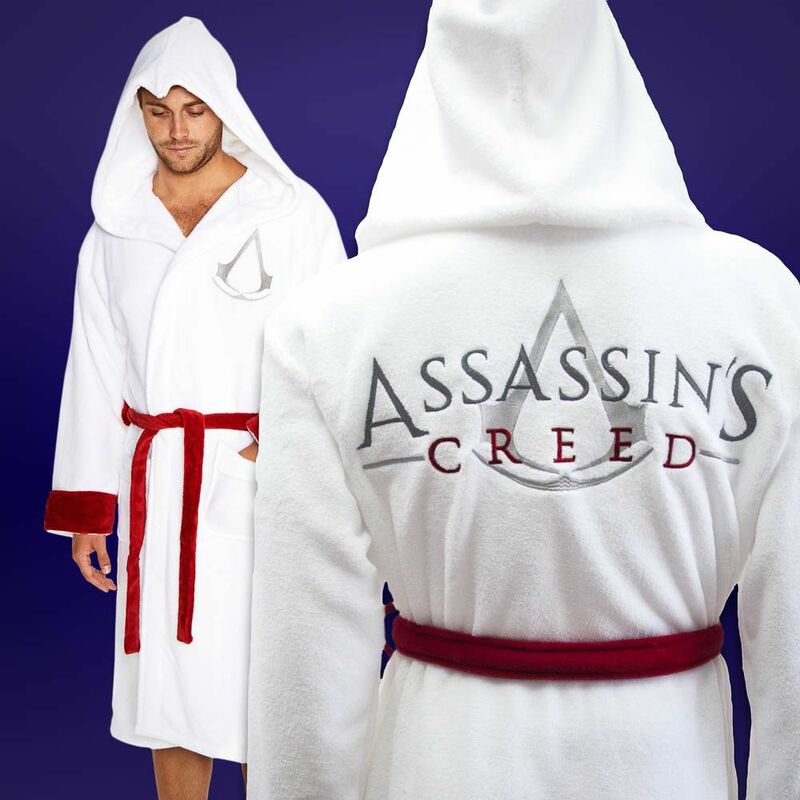 So when you’ve been over doing it with the eagle view-points, kick back, relax and snuggle down with this awesome Assassin’s Creed Bathrobe. Super soft and cuddly, this officially licensed embroidered dressing gown is the perfect accessory for any gamer who loves to relax. This sumptuous white robe features the Assassin’s Creed logo emblazoned across the back, with the insignia embroidered on the chest and pointed eagle’s hood for that awesome assassin’s look. This super soft bathrobe has cool red accents for a sophisticated look and is fully machine washable for easy cleaning. So if you’re a busy assassin with some well-earned sofa time coming up, we can think of no better way of getting in the mood.